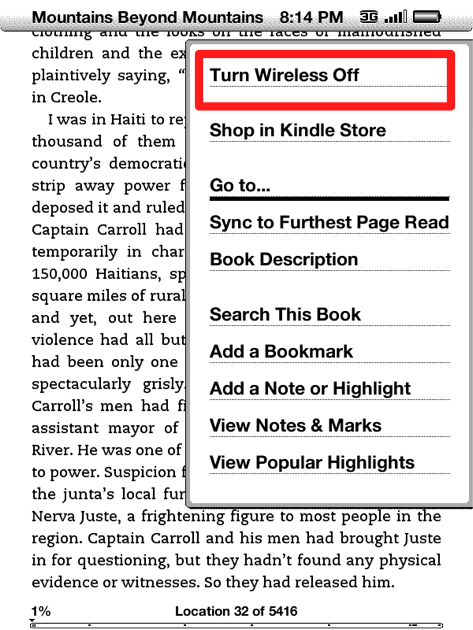 There isn’t a point in letting your Kindle search for wireless or 3G networks when there isn’t one nearby. For example, when you’re in a flight or away in the sea or ocean. Also,there couldn’t be anything easier than turn off wireless of your Kindle.